Easter will be here & then over before we know it. Many homes will be dealing with the aftermath of Easter grass, jelly beans & all of those left-over plastic Easter eggs. 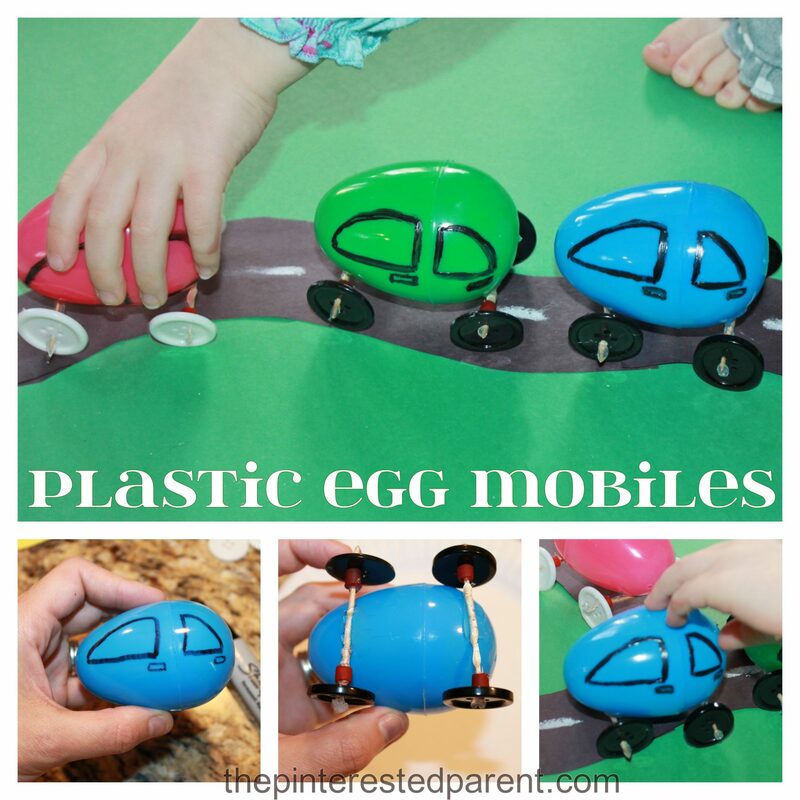 I for one love those left-over plastic eggs because there are so many fun things that you can do with them. My daughter has an art app that she loves on her IPad. She used it a lot over our travels last week. 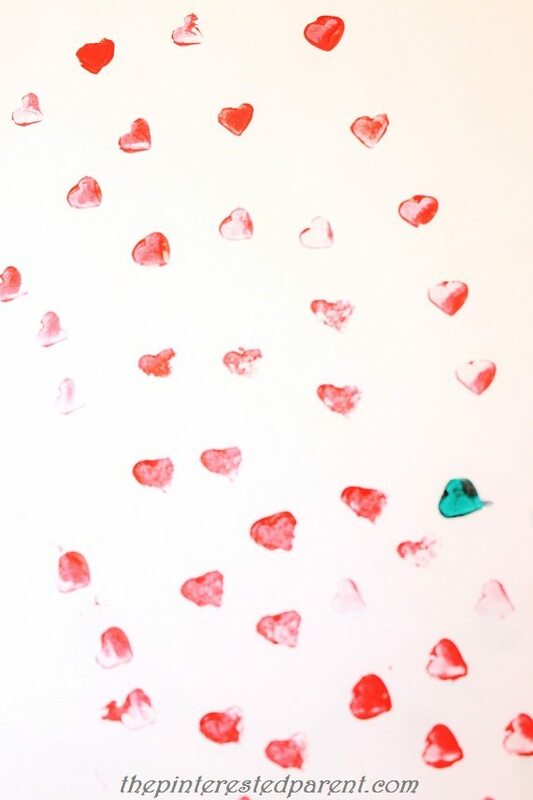 I watched her draw & paint and stamp shapes with her fingers. Watching her stamp hearts & flowers onto her electronic canvas gave me an idea. My idea was to put foam shapes on the end of rubber thimbles & use them as finger stamps. 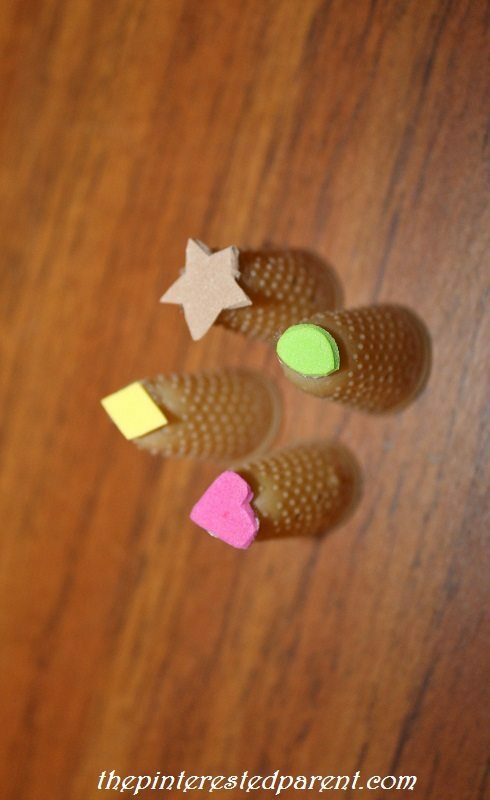 I cut out 4 simple shapes & used hot glue to glue them to the tip of the thimbles. My daughter & I experimented with the different shapes. We put them on our fingers & stamped away. The heart shape worked the best. If you applied heavy paint it came out looking like a wax seal stamp, whereas just a light dab of paint provided better shape. 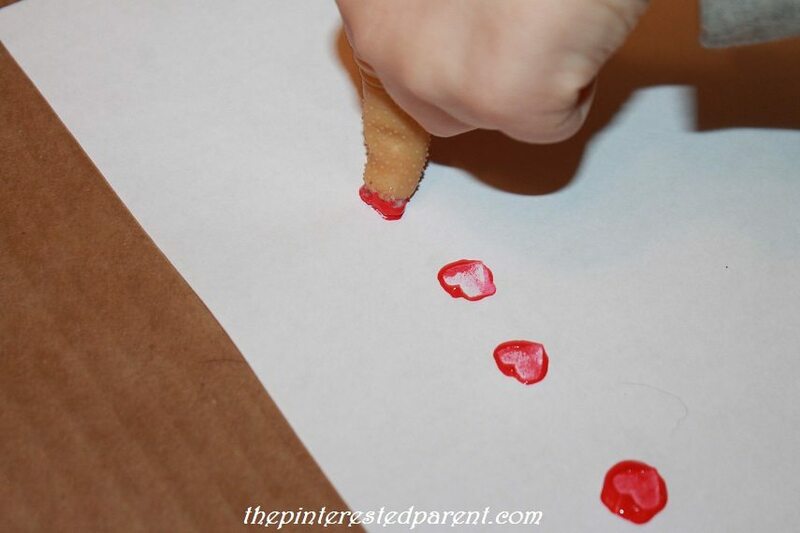 Mai lost interest in the actual shape of the stamps & began to just paint with the thimble. We had a box of a dozen rubber thimbles, so we tried something new. 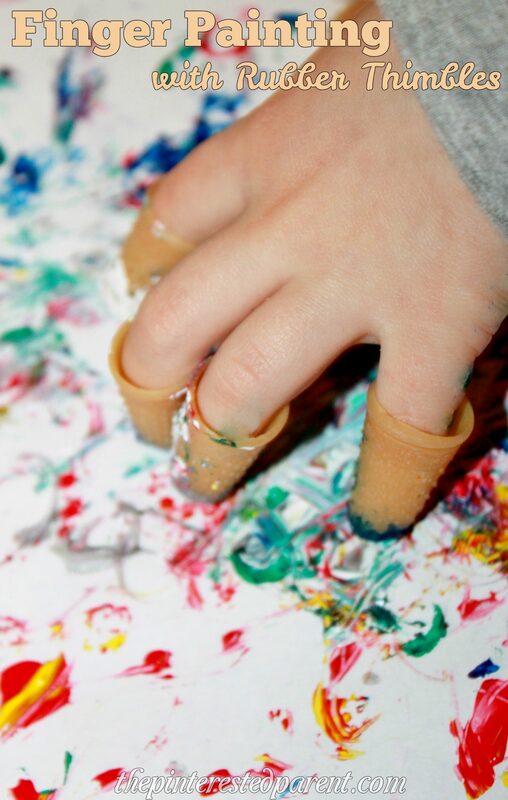 We loaded thimbles on each of her fingers & dipped them all in different color paint. 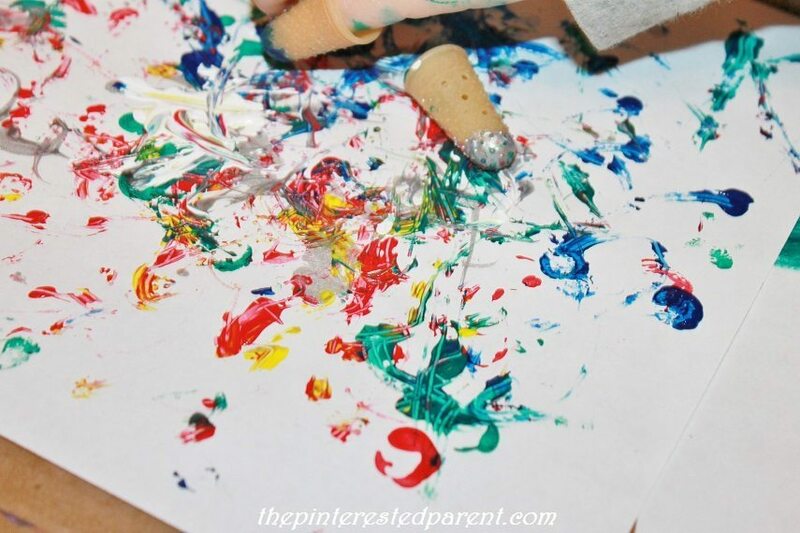 She ran all of her thimble covered fingers around a piece of paper to create a painting that reminded me of a Jackson Pollock. 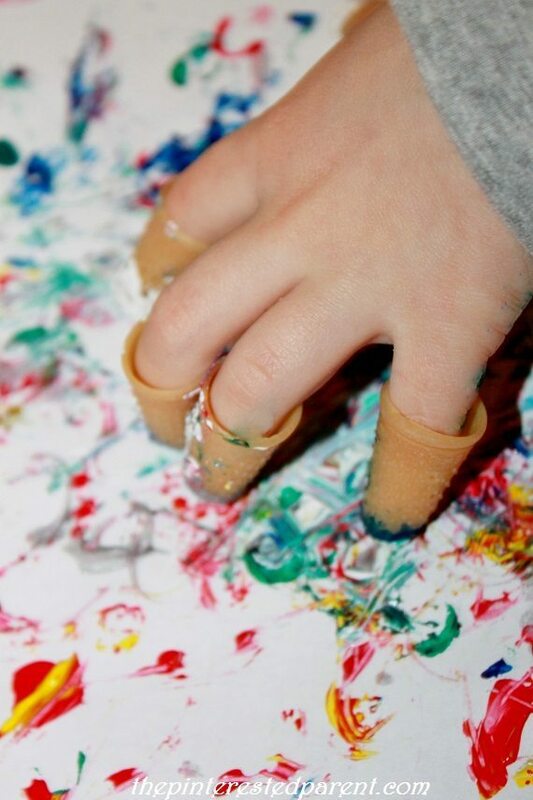 The thimbles were a little bit large on a couple of her fingers, so they would flip off from time to time, but she would just stick them back on & go. 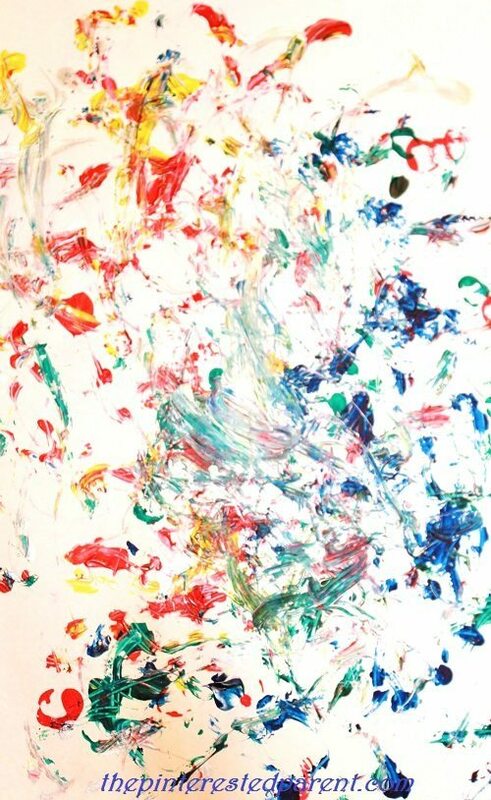 When she was finished, it left us with a bright & colorful piece of abstract art. This gross motor skill spinner game was inspired by an idea from our clever little girl. One day after watching me do a workout video, our daughter picked up a die and rolled it and told me that she was going to do arm rolls. She rolled a 5 and did 5 arm rolls. She told me to roll too. I did and rolled a 4 and she told me to do 4 jumping jacks. This sparked a fun idea for a game that kept us both moving and laughing. 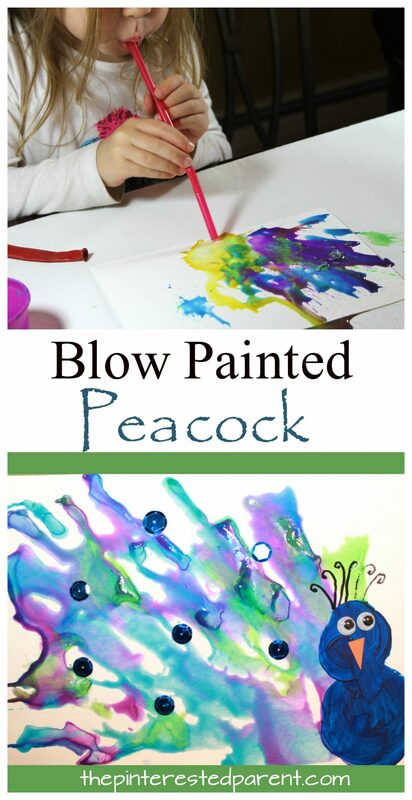 This simple gross motor skills game is easy to make and fun for the whole family. 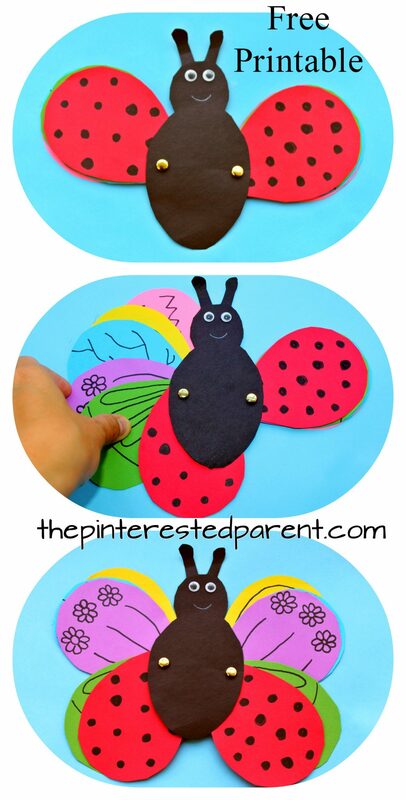 Use our free printable templates or design your own.